Discover Australia’s unforgettable outback on a complete Top End and Red Centre rail experience. Watch the must-see Uluru sunrise and sunset. Climb to the rim of Kings Canyon for marvellous views of Watarrka National Park. 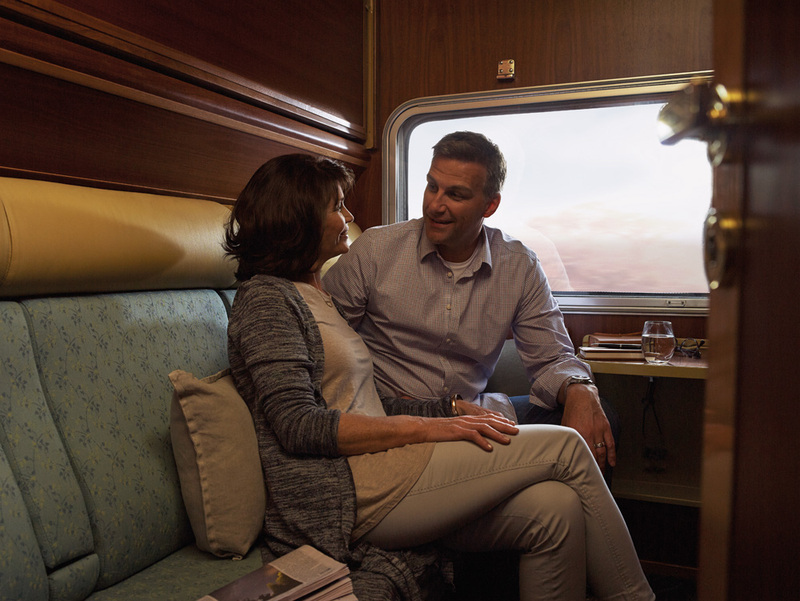 Journey to Darwin aboard the iconic Ghan. 1 night stay in Alice Springs at Mercure Alice Springs including breakfast. 3 night Kata Tjuta, Uluru & Kings Canyon tour including accommodation & touring. Transfer from your hotel to the Alice Springs rail terminal. 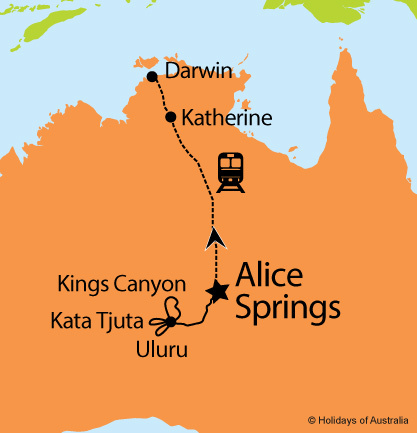 1 night aboard The Ghan travelling Alice Springs to Darwin in Gold or Platinum Service including all meals, drinks and an Off Train Experience in Katherine. ^Save $250 per person based on everyday fare twin share, other discounts apply for different fares. Available on new bookings only, discount has been applied to pricing and is valid for sale until 1 June 2019 for travel between 1 June - 31 August 2019.